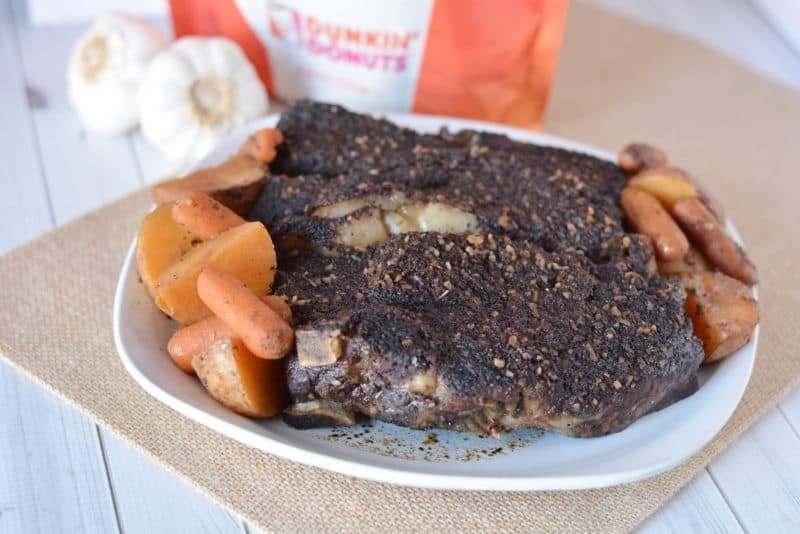 This Slow Cooker Coffee Rubbed Roast recipe is sponsored as part of the Dunkin Donuts Preferred Partner Program. Opinions are my own. I love coffee. My family knows I love coffee. My kids generally don’t ask me questions or anything unless they’ve seen me consuming coffee or handed me coffee. It wakes me up and de-fogs my brain in the mornings. Sharing a cup of coffee with family and friends is one of my favorite things to do. But why stop the coffee love when the AM turns to PM? Coffee is like a hug…in a mug. When it’s hot, anyway. In hot weather, it’s so refreshing on ice. And now…adding coffee to your dinner…it’s going to be another way to enjoy the coffee love…and bring the family and friends together. What could be better? That’s where our idea to go savory with coffee came from. Coffee at dinner…but not necessarily in cup. 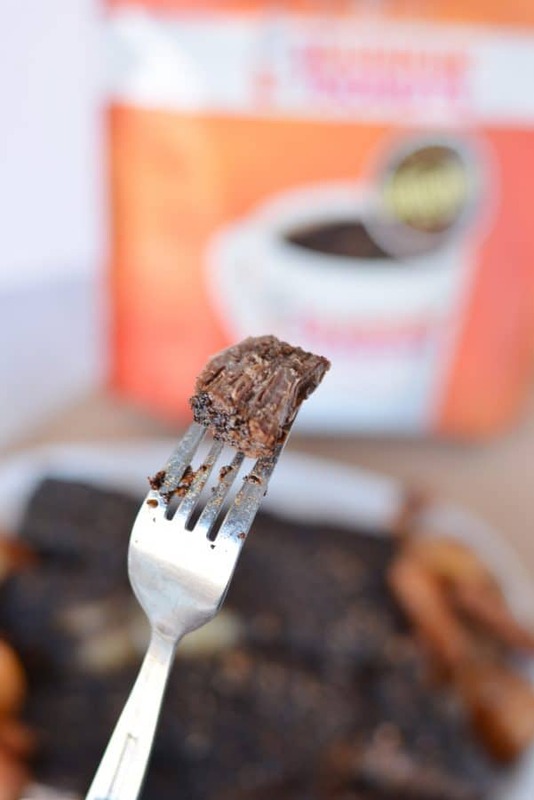 When I was out in Ohio a few years ago for a visit to Smucker’s, one of the chefs at a local restaurant made several dishes inspired by Smucker’s brand products, including using Dunkin’ Donuts coffee grounds in savory dishes. 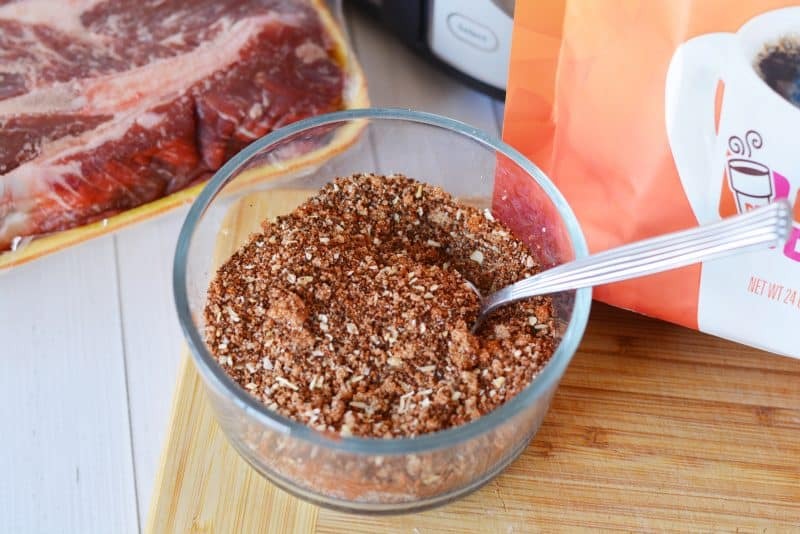 That inspired us to use the grounds in a meat rub recipe and the results are AMAZING. It didn’t taste like you were chomping on coffee grounds! It was really juicy, when I took it out, a piece of bone slid out of the meat! 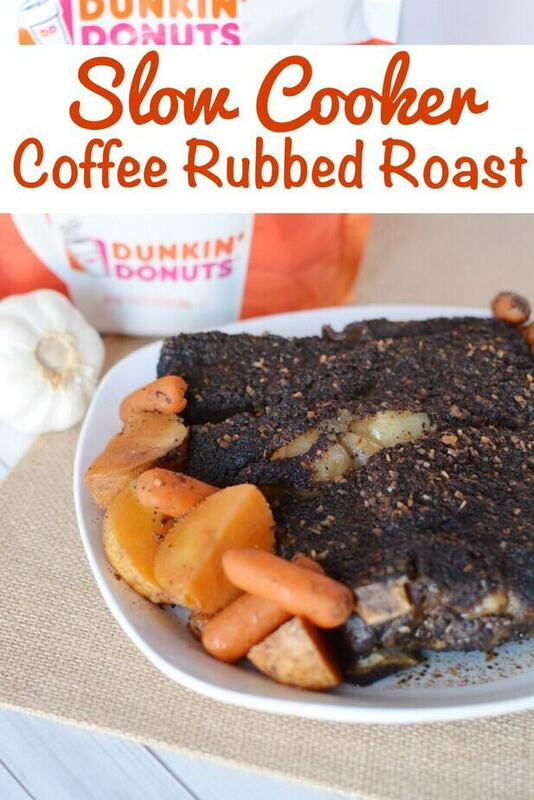 The coffee just adds a whole new layer of flavor to your dish! In a small bowl mix coffee, brown sugar, garlic powder, minced onion, Hungarian paprika, salt and pepper. 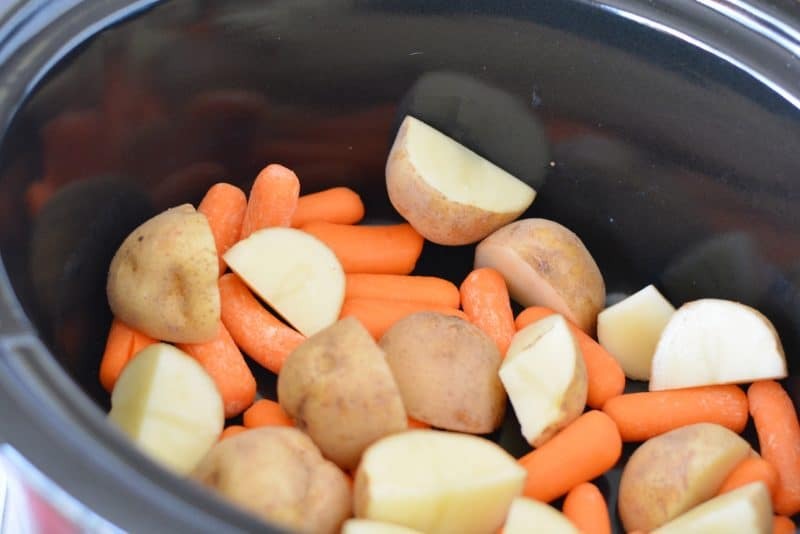 Place carrots and potatoes in the bottom of a slow cooker. Rub half of the mixture on one side of the roast. 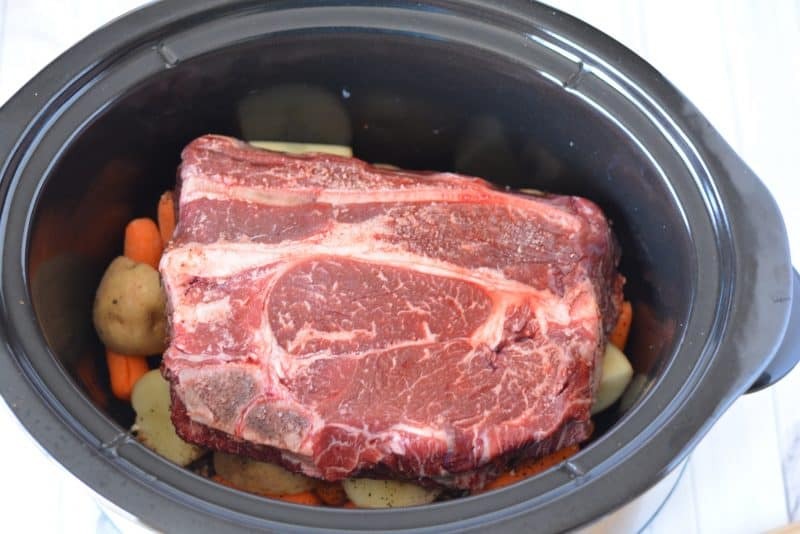 Place the roast on top of the carrots and potatoes in the slow cooker. Rub the remaining mixture onto the roast. 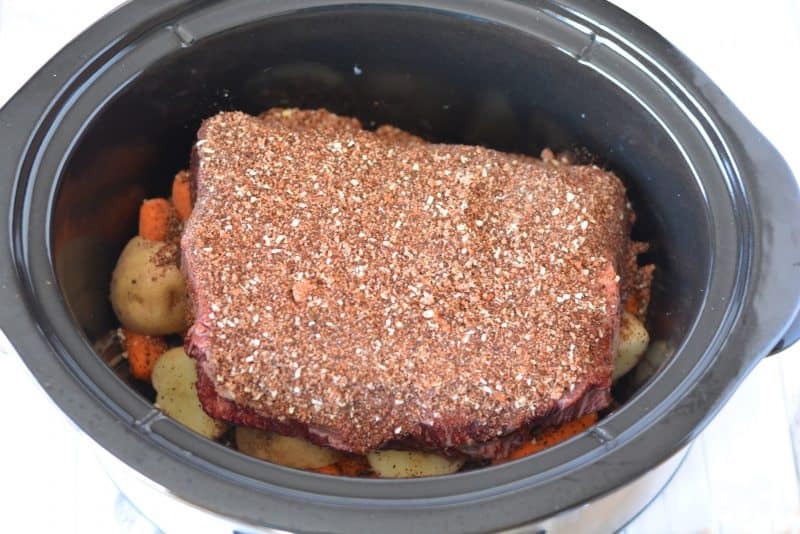 Add 1/2 cup brewed coffee to the slow cooker. Cook on low 6-8 hours or high for 4 hours. 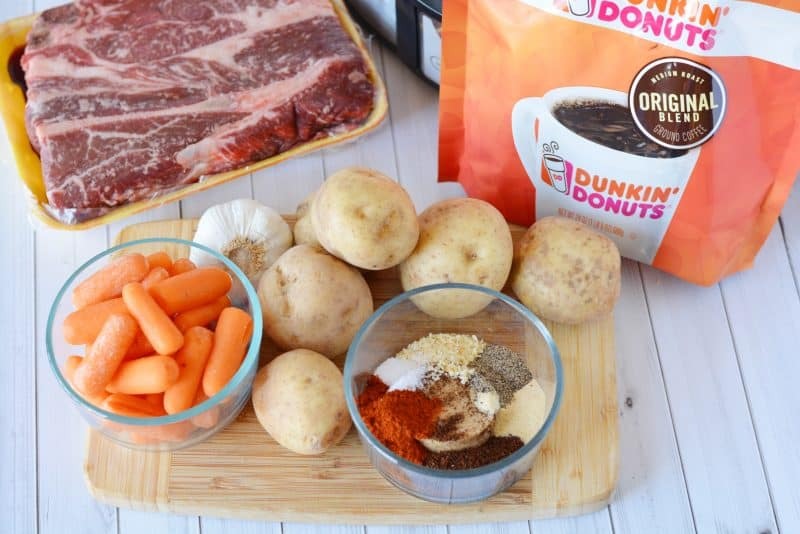 If you want to have some fun, find any and all Dunkin Donuts packaged coffees at your local grocer and most major retailers who carry grocery-type products and try a different brew for your rub! The only issue with having the Dunkin’ Donuts at home products so readily available is that it’s too hard to choose between flavors! Do you use coffee in savory recipes? What’s your favorite way to enjoy coffee? This looks delicious! 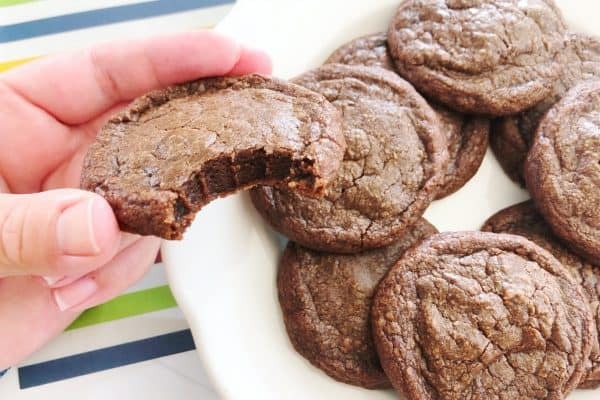 Thanks for sharing your recipe at Motivation Monday on Mom Home Guide! Never thought to do this before! 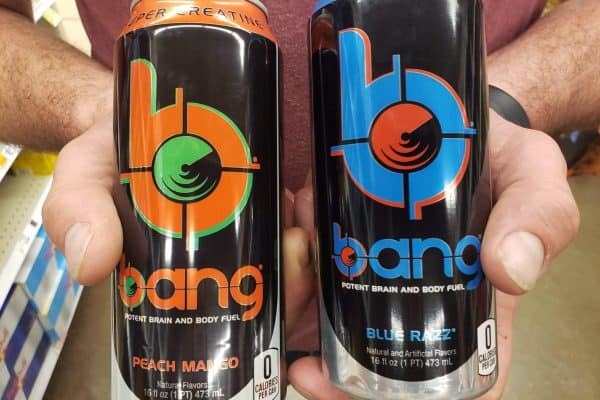 Sounds really yummy! Thanks for sharing with Delicious Dishes Recipe this week! 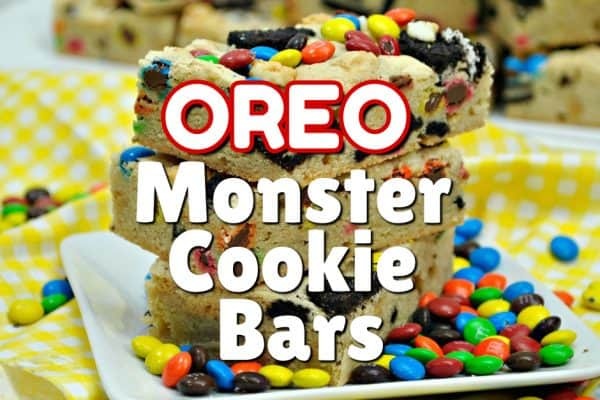 I never have before but I am going to try this recipe! Thanks!